Big news! There is just over one week left until we leave for the ship! Last week was packed with excitement. We finished learning our third and final show, and did our first run through. I have to be honest, this show is hard! It is the most technically demanding show I’ve done with the company, and also requires a lot of stamina. When I get more comfortable with the choreography, I think I will enjoy it a lot, but at the moment, I feel somewhat overwhelmed! I appreciate the challenge, though. Something to smile about! 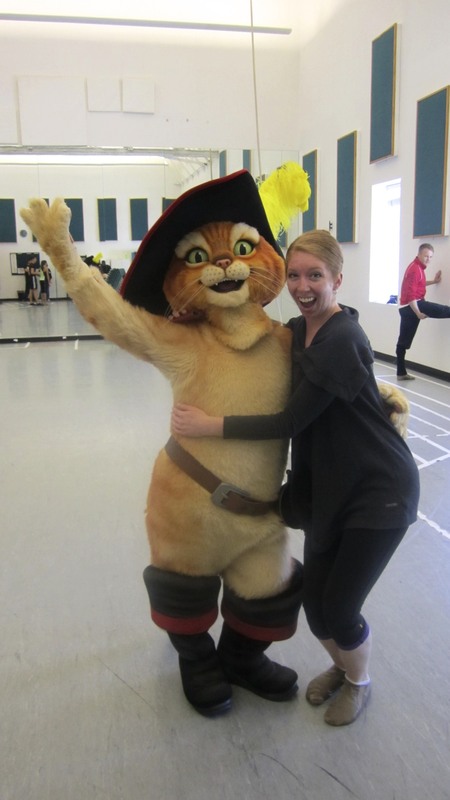 Puss in Boots stopped by rehearsal! 4 other casts left to join their ships last week. 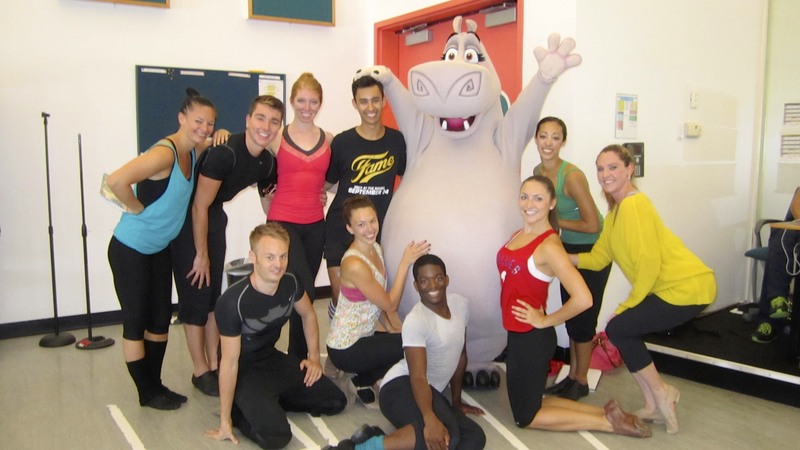 A few days before they left, each cast performed one of their shows at the studio. It was great to see what the other casts have been doing! The studios will be lonely this week without them. Other casts arrive at the end of the week, right before we leave! Gloria is leaving us, too! 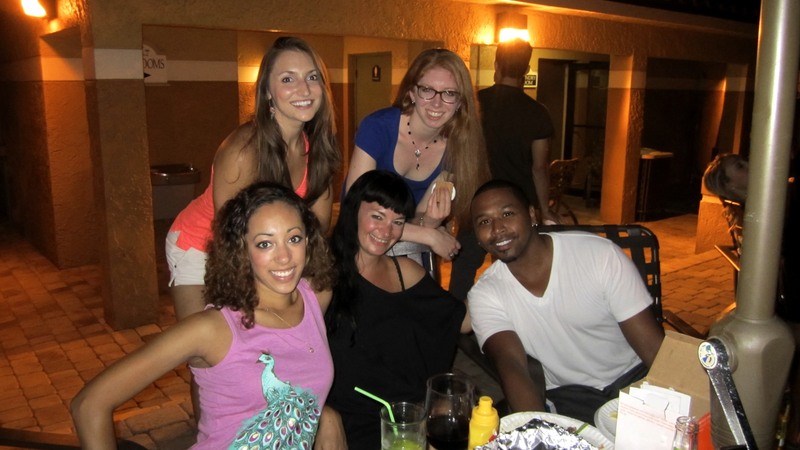 Last weekend, the my cast got together for a barbecue by the pool. It was so nice to spend time with my new “family” outside of the studio. I feel lucky to be with such a great group of people! 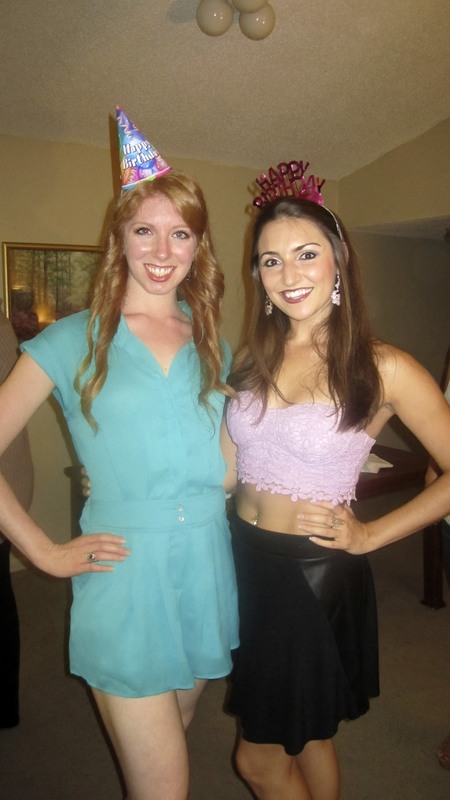 Two cast members had birthday last week, so we had a couple nights of celebrations. I’m already trying to come up with theme ideas for my birthday. It’s less than 3 months away! Theme suggestions are welcome! I’ve spent my Sunday sitting around and relaxing. I’ll need a lot of energy this week! We’ll be running all 3 shows and cleaning them up. Friday, we perform the Vegas show at the studio. I can’t believe the rehearsal period is already coming to a close!